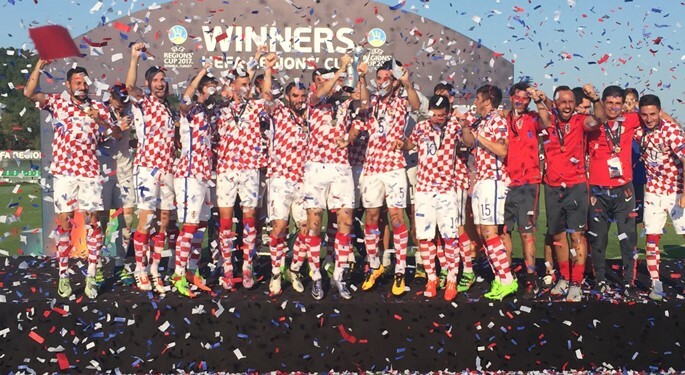 In UEFA Region's Cup final in Istanbul, Zagreb defeated Region 2 of Republic of Ireland to win the title. Following the loss in the 2015 final in Dublin, when Eastern Region secured the title against Zagreb (1:0), Croatia representatives faced the Irish team once again - and this time identically won against Region 2 (Munster/Connacht). The key moment was Toni Adžić's goal in 26th minute. Istanbul hosted the final tournament, and Zagreb opened the group stage with a Lisboa draw (2:2), to be upgraded with Istanbul (2:0) and Ingulets (4:1) win to reach the top of Group A.
Zagreb also became the first team in UEFA Regions' Cup to reach to consecutive finals, and the first team from Croatia to win this competition.